In this digital world we collect, store and process enormous amounts of data. At the same time, all this data is valuable, if not critical, to today’s businesses. Safeguarding this data and protecting personal data and identities of employees, partners and contractors is key to survive. Any given data breach or loss of critical data can make an organization go out of business. At the same time, law and legislation is increasing in strictness and for many organizations it is not easy to keep pace and be compliant. Not only for software usage, but at the same time for ISO / NEN or other standards, like 27001 (Information Security), HIPAA (healthcare information security) and NEN7510 (healthcare information security). Or .. just think about the General Data Protection Regulation, the new and strict EU Privacy law. When looking at Security and Compliance one must consider three areas of interest: people, technology and process. All three are equally important and must be looked at. The Security and Compliance experts at Quexcel not only know this, but put it in day-2-day practice. 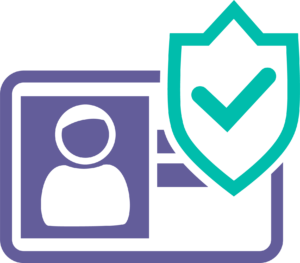 With Consulting, Security- or GDPR Assessments and selecting the right security and compliance solutions we help you safeguard your business. 1 Vendors like Microsoft may have requirements to your organization to be able to fund security and compliance projects. But when you meet the requirements, as an example, a Microsoft SAM Cybersecurity Assessment or Microsoft SAM GDPR Assessment will be free of charge!! When you select Quexcel as your security and compliance partner you are assured that ‘the power of knowledge’ is your benefit. We consult and help, but we also like to sit at your side of the table. Together we make sure that your organization gets better protected and stays safe in the future. That is not all. Besides Security and Compliance Services we also help you with your Software Asset Management, give solid advice through our License Consulting Services and assist with Audit Defense Services. When a solution is chosen, we are happy to supply the licensing contracts and cloud agreements. Do you want to be sure that all the organizational and personal data within your organization is safe and stays safe? Do you want peace of mind and a good night’s sleep? Then better select Quexcel as your Security and Compliance partner. Contact us today for more information or a quote. We live in turbulent times and if we don’t watch out, we will increasingly fall behind the progress being made by digital technology. Your customers remark this, and as a technology company, so do you. Technology helps accelerate your business. Digital Transformation is a term we see everywhere these days. It is an umbrella concept open to many interpretations. It is up to you, as a provider of digital technology, to determine what Digital Transformation means to you.